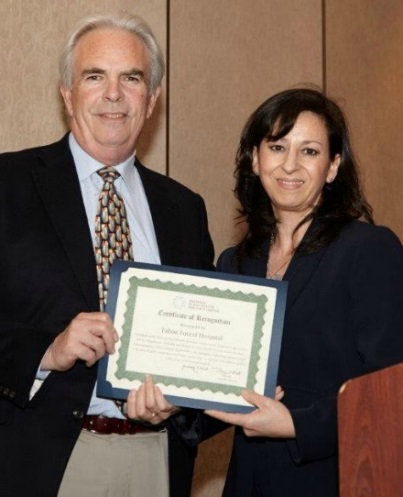 Tahoe Forest Hospital District (TFHD) in Truckee, California, was recognized for their quality reporting strategies and demonstrated excellence in quality initiatives with documented outcomes. “We really want to thank and acknowledge our community, and because of their support, we've been able to innovate and reinvest, allowing us to offer much broader and high quality services to them. Above all, we applaud our excellent physicians and employees for this recognition. They are passionate about providing the very best care possible to our patients and their families." The tentative topic of the May TASC 90 is an update on the Flex supplemental funding EMS projects. This quarterly webinar will include updates from TASC, RQITA, FMT and FORHP, to include both the Flex Program and policies impacting critical access hospitals (CAHs). The tentative topic for the June Flex VKG is Health Equity. Flex VKG webinars provide a forum for state Flex Programs to share successes, discuss challenges and brainstorm strategies for improvement and Flex Program excellence.